A sweeping, magisterial biography of the man generally considered the greatest president of the twentieth century, admired by Democrats and Republicans alike. 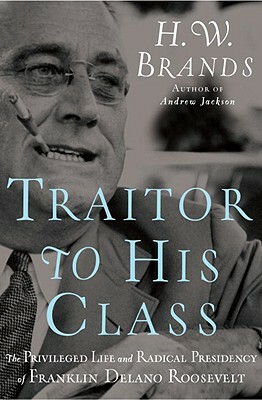 Traitor to His Class sheds new light on FDR's formative years, his remarkable willingness to champion the concerns of the poor and disenfranchised, his combination of political genius, firm leadership, and matchless diplomacy in saving democracy in America during the Great Depression and the American cause of freedom in World War II. H. W. BRANDS is the Dickson Allen Anderson Professor of History at the University of Texas at Austin. The author of "Andrew Jackson," "Lone Star Nation," and "The Age of Gold," he was a finalist for the Pulitzer Prize for biography for "The First American: The Life and Times of Benjamin Franklin." He lives in Austin, Texas. "H.W. Brands is a master at finding the essence of an important American life, telling its story grippingly and showing us why it is important to our own generation. With Traitor to His Class, he has surpassed even his own high standard. This judicious and compelling work is the first major one-volume biography written by an historian too young to have lived in Franklin Roosevelt's time. It deserves a wide audience, especially among those younger Americans who need to be told why we all owe so much to FDR." "We live in the world Franklin Roosevelt created, and we can never know enough about him. In this illuminating portrait of the man who proved far more radical than his upbringing would have ever suggested, H. W. Brands has painted FDR in bright and brilliant colors." "H.W. Brands has accomplished a remarkable feat in this terrific work. As if he were creating characters in a novel, he has brought to vivid life the central figures in his story--FDR, Eleanor, Sara Roosevelt, Winston Churchill, and the inner circle in the White House--while at the same time providing a fresh understanding of the rich historical context for their thoughts and actions at every step along the way."